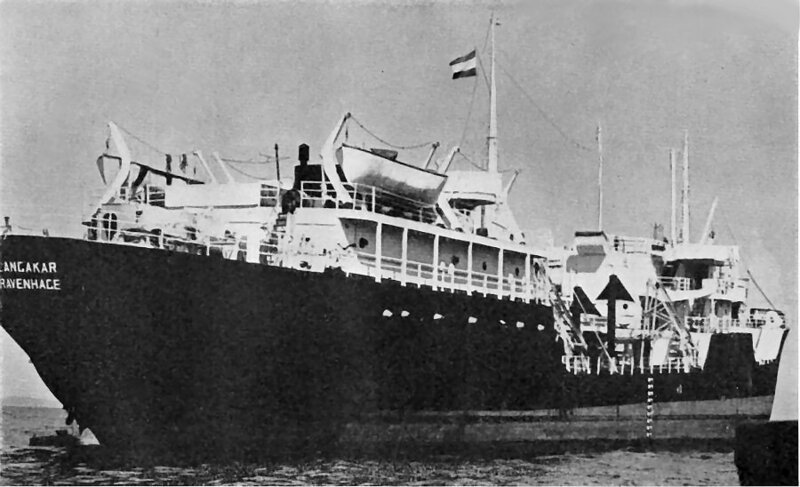 "Stanvac Talang Akar" was build in 1944 as "Tarascon", 1947 to NKTM. Built by Todd Houston Shipbuilding Corporation, Houston TX, Yard number # 209. Sold as "Talang Akar" in 1947. 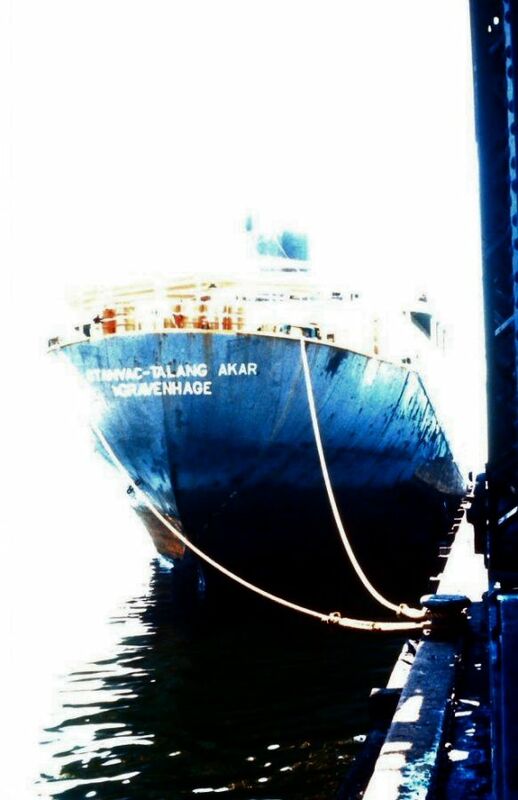 In 1948 renamed "Stanvac Talang Akar". 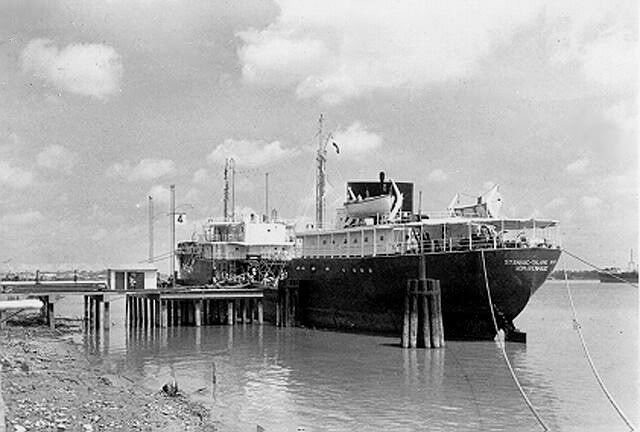 In 1959 to the Petroleum Shipping Services Co., Inc., Panama. 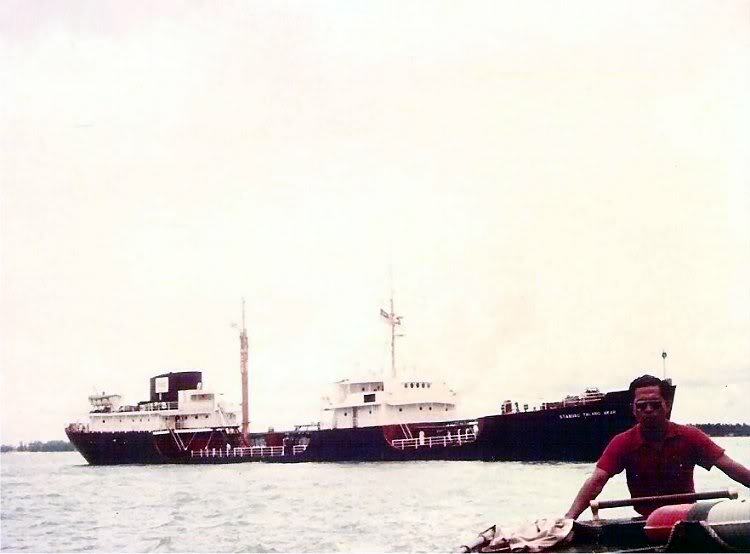 In 1963 as "Esso Advance" to Luzon Stevedoring Co., Manila. Lenghtened with 17,37 meter and rebuild as LPG-Carrier. 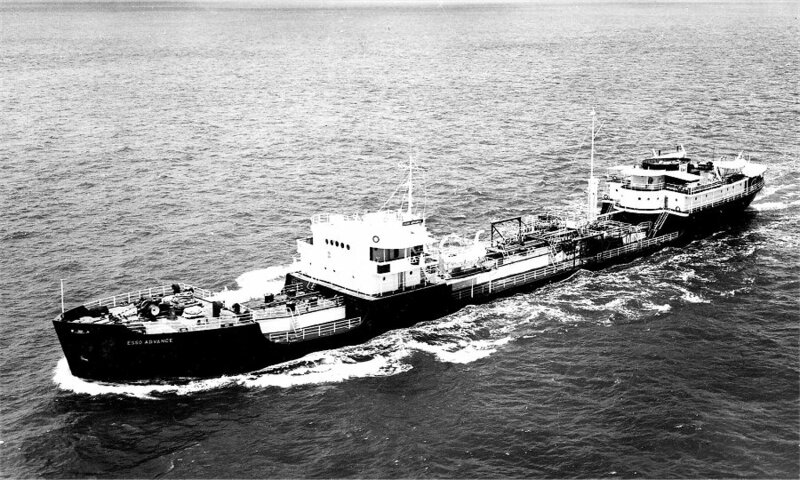 In 1973 renamed as "LSCO Pegasus". 28.04.1973 arrived at Kaoshiung for breaking up. 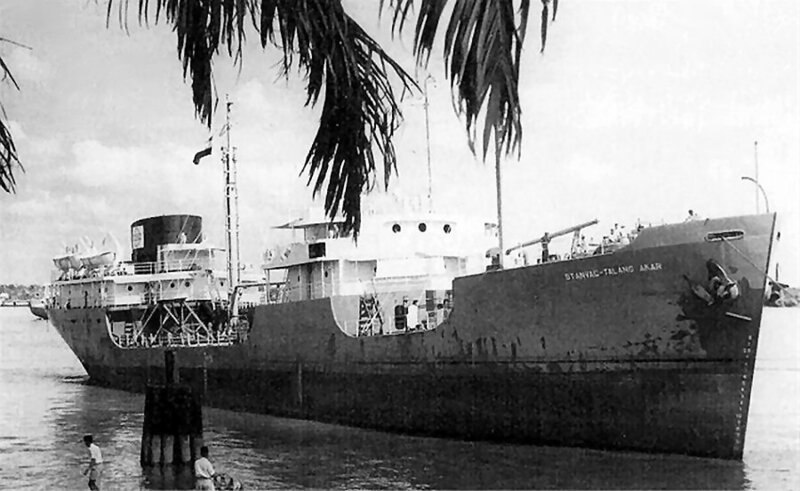 "Stanvac Talang Akar" at Palembang 1956. "Stanvac Talang Akar" at Tanjang Uban. "Stanvac Talang Akar", a not very sharp photo. "Esso Advance", ex. "Stanvac Talang Akar", ex. "Tarascon". The Miramar Ship Index for "TARASCON"